Starbucks Coffee shops across the country closed down for several hours Tuesday afternoon to discuss racial bias. The Shorewood Starbucks on Oakland Avenue temporarily closed around 2:30 p.m. The doors were locked for employee training. A sign on the front door did the explaining for customer Kaed Burdris, who remains skeptical of the effort to make Starbucks more welcoming. Others like Nancy Montoure believe the conversation is the start of positive change. “It’s just sad that racism still exists in this country,” she said. The company is facing fallout after two black men were arrested in a Philadelphia Starbucks back in April. An employee called police because they weren’t paying customers. “Bias is our brain’s way of making snap decisions. Often times those decisions are made on previous experiences or assumptions,” said diversity trainer August Ball. 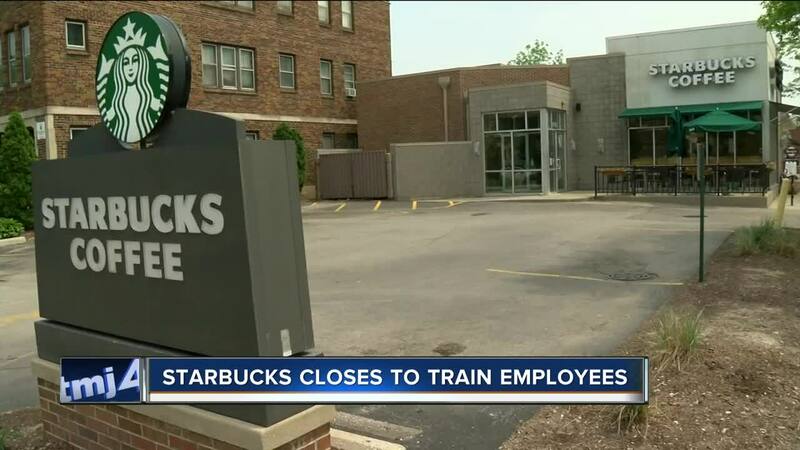 Ball commends Starbucks for its decision to take a profit loss to address racism and discrimination but she thinks more than one training session is needed to make a company-wide difference. “Company culture gets set very early and so it’s really critical that organizations think about what type of culture they want to create,” said Ball.